It's the most significant move made by the Wisconsin Republican since he left office in January. The new company is composed of Fox News, Fox Sports, the Fox Network and Fox-owned TV stations. Fox Corp. was formed from a spinoff as part of a $71.3 billion sale of Rupert Murdoch's 21st Century Fox to Walt Disney Co. Its stock was to begin trading as a standalone public company on Tuesday. Fox News drew scrutiny recently after a New Yorker story detailed the network's cozy relationship with President Donald Trump's administration. The Democratic National Committee then barred Fox from hosting any Democratic debates ahead of the 2020 presidential election. White House communications director Bill Shine, a former Fox News executive, resigned days after the story ran. He will serve as senior advisor to Trump's 2020 campaign, said White House spokeswoman Sarah Sanders. 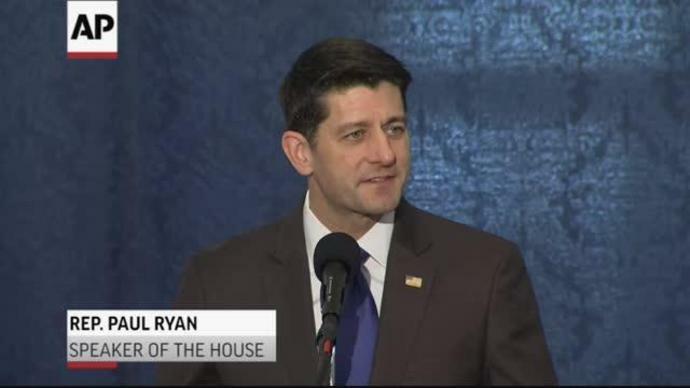 Ryan recently made news after he told a Florida crowd that some Democrats could defeat Trump in 2020. He later clarified his comments, saying Trump would win re-election.